The shop sells and welcomes donations of men’s and women’s clothing and accessories, household items, and decorations during business hours. This ministry of the Episcopal Church Women (ECW) of Good Shepherd relies on a steady schedule of volunteers to ensure the shop has at least two volunteers each day. 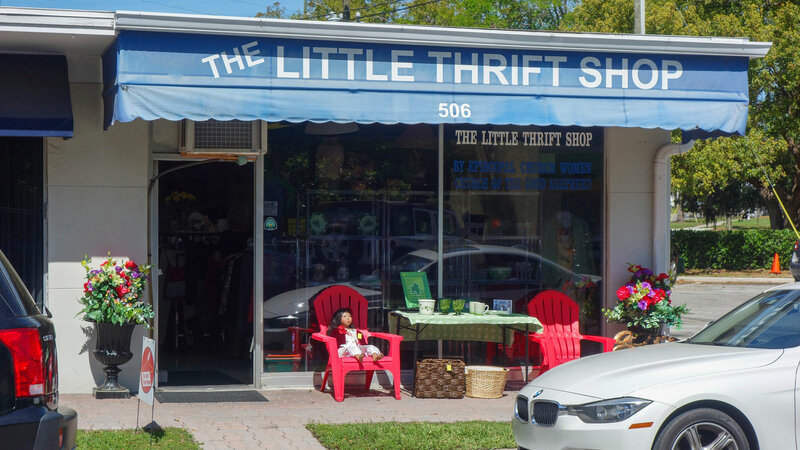 use this form to contact the Little Thrift Shop anytime. Also check out our Furniture Thrift Shop in Clearwater located at 1714 N. Ft. Harrison.